This month marks 20 years since the death of Carl Sagan, the astronomer who became a household name and unofficial spokesman for science thanks to his Cosmos TV miniseries. 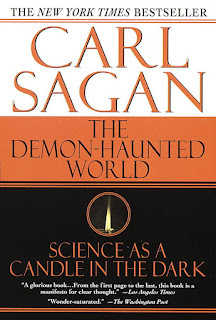 While Sagan is best known for Cosmos, he also was a prolific writer of science books targeted toward the general public, the last of which was titled The Demon Haunted World: Science as a Candle in the Dark, published in 1995. Throughout his life as a scientist and later celebrity scientist, Sagan was a strong proponent of the scientific method and critical thought while railing against pseudoscience and superstition and ignorance they bring forth. However, going into the mid 1990s, Sagan had never written a book on such topics, though he commonly sprinkled these themes throughout his other works. This changed with Demon Haunted World which, as it would come to pass, became, in a way, Sagan's final testament to the world. In the Demon Haunted World, Sagan puts 400+ pages broken down into 25 chapters to work in both espousing the scientific method and critical thought while systematically picking apart pseudoscience and superstition in both historical and current lights while also setting down ideas as to how humanity can avoid reverting to ignorance. The book is easily broken down into thirds, with the first being largely devoted to exposing pseudosciences for what they truly are, the middle focusing on how individuals can better their thinking skills, and t he final being devoted to creating a scientifically-literate, critical thinking citizenry. While there are many superstitions and pseudosciences addressed in Demon Haunted World, if there is any single one of particular focus, it is aliens. This is probably for a couple of reasons. First, the publicity for aliens exploded in the 1990s in various forms of media. In the 1990s, aliens were to be found in movies, on TV, on the radio, and in all forms of print. By the mid 1990s, aliens were popular. Secondly, more so than any other pseudoscience, aliens are, by many in the general public, viewed as being under the umbrella of science. As anyone who understands what science is really about realizes, this is not the case for aliens for the simple reason that science is based on the idea of testability by way of physical and/or measurable evidence, none of which exists for aliens. Other topics addressed by Sagan include hallucinations, witness fallibility, therapy's failings, witchcraft, demons, structures on Mars, and cyptids. Sagan takes a novel approach to explaining why many pseudosciences are, in fact, pseudosciences. In the chapter The Dragon in My Garage, Sagan examines the train of thought that many believers in various pseudosciences follow. The premise, pseudosciences rely on the notion that the inability to prove something false makes it true. Illustrated, Sagan tells a story about a dragon in his garage wherein the reader takes the role of investigator. Upon looking in the garage and seeing no dragon, the reader asks where it is. Answer: it's invisible. The reader then proposes spreading flour on the floor to see the invisible dragon's footprints, which do not appear. The reason: the dragon floats in the air. How about a thermal test to detect the dragon's fiery breath? No abnormal readings present themselves. Reason: the invisible fire is heatless. At a loss, the reader proposes spraying paint in the garage to make the invisible dragon visible. When the paint fails to stick to anything, there's a reason for this too: the dragon is incorporeal. Sagan's question to the reader: what's the difference between an invisible, floating, incorporeal dragon that spits heatless fire and no dragon at all? At best, judgment must be postponed until some sort of physical evidence for the dragon's existence presents itself. Until then, belief in the dragon in the garage is purely a matter of faith because there's no evidence that can be tested, only a sincerely told story. The same is true for aliens, cryptids, and likewise. Bottom line: pseudosciences rely on faith, not evidence, as cornerstones of belief. Another standout chapter is The Fine Art of Baloney Detection, in which Sagan presents a toolkit for thinking through any topic that must be approached critically. What is this toolkit? A list of questions to ask oneself when examining any question. The kit includes, but is not limited to looking for independent confirmation of “facts,” looking for underlying motives, Occam's Razor, and the need to quantify if possible. Sagan then presents a long list of logical fallacies with examples. Why should non-scientists care about the baloney detection kit? Simple: it can help anyone be a better consumer in a market-driven world. After all, advertisements wouldn't bend the truth, would they? After dismantling pseudoscientific claims and teaching how to think critically/scientifically, the third major theme in the book is the need for scientific literacy. Sagan notes the modern world is dependent on science and technology but that very few people even understand science and technology, which is a recipe for disaster. Providing evidence for his claims of scientific illiteracy, Sagan cites the National Science Foundation and some of its alarming findings, namely that, among others : 63% of adults are unaware that dinosaurs died out before humans arose, 75% do not know that antibiotics can only kill bacteria, 57% do not know that electrons are smaller than atoms, and roughly half do not know that the Earth goes around the Sun and that it takes a year to do so. Sagan then takes society and the American educational system to task. His chief complaint: adults complaining about “dumb questions” from kids and thus, through put-downs, instilling the idea in kids that asking questions is a bad thing. In his personal experience with students in the K-12 system, Sagan notes that first graders ask a lot more fundamental questions (Why is the sky blue? Why do we have seasons, Why are plants green?) than do 12th graders. On the American educational system, Sagan also has criticism, namely a lack of inspiring science courses in the K-12 curriculum and an over-reliance on teaching technical reading and memorization because such courses are easier for the educators to teach. Sagan noted that the same was true of his primary education and that there were no real stimulating science courses in his education until he reached the university level. Result: by the time they become seniors in high school, many students who were interested in science at an earlier age have no intention of pursuing a career in science thanks to a lack of mental stimulation. A final criticism against American society is the media available to the public. Sagan notes all of the pseudoscience/paranormal-themed entertainment in media but the woeful lack of science-themed entertainment (this was 1996, well before the profusion of cable TV specialty channels like the Science Channel). Example: virtually all newspapers have a daily astrology section, but how many papers have even a weekly science column? Not many. Another citation is wall-to-wall coverage of the OJ Simpson trial on TV but a virtual absence of science programming (though the PBS series Nova is cited as being a notable exception). For all of the criticisms, though, Sagan is not hopeless, laying out blueprints for how we as a nation can fix our problems that contribute to a lack of scientific literacy. Of the 25 chapters in the book, 4 were co-written by Sagan and his wife, Ann Druyan, including the last two, which Sagan notes are the most political in the book (he even has a disclaimer to this at the start of chapter 24). Quick to illustrate the necessity of this apparent digression, Sagan notes that critical thinking skills and the ability to question authority, both of which are essential to science, are also crucially important to maintaining a healthy, functioning democracy. Without critical thought, Sagan notes, a democracy can be hijacked and people be led astray into blindly following a charismatic leader. Examples in American history cited by Sagan include the Alien & Sedition Acts, passed during the John Adams administration, which effectively criminalized criticizing the government, the internment of Japanese-Americans during WWII, the 'war' on drugs (especially marijuana), and the frenzy whipped up against Saddam Hussein on the eve of the Gulf War (he was our ally in the 1980s). In world history, Sagan notes even more monumental atrocities, including but not limited to the witch hysteria in Europe, the Holocaust, and the atrocities under communist dictatorships in Russia and China. All of these, Sagan notes, were fundamentally allowed to happen because of a lack of skepticism and unwillingness to question authority on the part of citizens and even other leaders. To avoid sliding into totalitarianism, which relies on ignorance and submission on the part of the public and which actively seeks to quash skeptical inquiry, Sagan declares that citizens must be educated in matters of science, skepticism, and democracy, which he views as inextricably intertwined. The need to be a critical consumer of information is especially true at present with the profusion of information, not all of which is reputable, on the Internet , wherein anyone can publish anything without peer review. With the whole 'fake news' narrative that has spring up following the 2016 presidential election, it is critical for people to know how to think for themselves. Perhaps the only thing of greater disservice to the pursuit of knowledge than false information are the calls by some that the government do something about reining in 'fake news' and other misinformation. By giving government control over media, which I strongly disagree with and have no doubt in my belief that Carl Sagan would feel the same way, we the people would be giving away our freedom to think for ourselves by allowing the government to control the flow of information. If 'fake news' is public enemy #1 on the government media police's most wanted list now, what's next? Political opinions contrary to the controlling party's beliefs? Comedians' material that certain groups find 'offensive?' Anything deemed by government to be 'corrupting' to today's children? 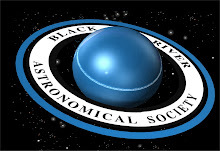 Scientific discoveries and ideas that threaten prevailing religious beliefs? The list could go on and on, thus showing the slippery slope government policing 'fake news' could lead us toward. It's better to take false information hook, line, and sinker once and then discover the truth on one's own at a later time than it is to have the government spoon feed us only what it thinks we need to know. There's nothing wrong with being wrong in itself, to err is human, it's how we learn. In the final chapter, Sagan contrasts the Founding Fathers with today's leaders. The Founding Fathers were all products of the Enlightenment, and two of them, Benjamin Franklin and Thomas Jefferson, were actually scientists. The Founding Fathers saw political actions as experiments in that, whenever a policy was implemented, the results must be carefully monitored and any changes made if the policy had its shortcomings. Democracy, like science, can be self correcting if the people and leaders both pay attention to the decisions made and correct the bad ones accordingly. Sagan also contrasts the Founding Fathers' attitudes toward education with those expressed by today's politicians. Quoting Jefferson, Sagan notes that the cost of education is miniscule when compared to the cost of ignorance. In contrast, most of today's politicians do not understand the process of education, science, or critical thought, yet seek to influence such fields, anyway. Sagan rightly notes that this is a recipe for disaster. The Founding Fathers were well-versed in the methods of skeptical thought, had their principles, and acted accordingly. Today's leaders are more often than not told what to do by way of opinion polls. In summation, Sagan concludes that free speech and education in skepticism, science, democracy, the Bill of Rights, and how to use and protect them (and what will happen if we don't) are crucial for a free society because they serve as the tools we can use to prevent ourselves from becoming enveloped in darkness. In writing The Demon Haunted World, Carl Sagan was finally coalescing into a single work his thoughts on pseudoscience and skeptical inquiry on both the individual and societal levels. Perhaps (he never did say) this book was inspired by his own health, which was in a precarious state come 1995. The year before, Sagan was diagnosed with myodisplasia, a rare blood disorder that commonly morphs (as it did in Sagan's case) into leukemia. His life already saved by a bone marrow transplant, perhaps being confronted with his own mortality inspired Sagan to put pen to paper and write a book that systematically dismantled various pseudosciences, taught skeptical inquiry, and made a case for why critical thinking skills are vital not only to science, but to democratic society as a whole, all while offering suggestions as to how and achieve the goals of a well-educated, skeptical citizenry. Perhaps more so than any other of his books, Sagan's Demon Haunted World will stand the test of time. As iconic as Cosmos is and as heavy on science his other books are, science, as Sagan so often acknowledged, is a self-correcting process wherein current knowledge will be updated and old theories discarded in the face of new evidence. 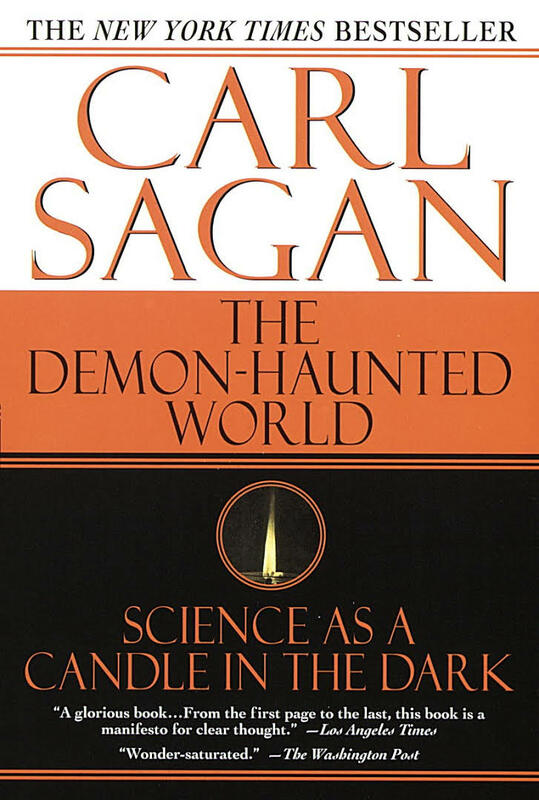 It is for this reason that, as the decades pass, Sagan's other works will become dated in the face of new discoveries while The Demon Haunted World: Science as a Candle in the Dark, will remain forever current as this book does not state scientific facts, but teaches how to think scientifically. Needless to say, this is an absolute must-read for anyone interested in not only science, but in psychology, sociology, history, and politics, among other topics.